Combine a clean classic style with the comfort of your favorite sweats in the SKECHER Street Prima - Stone Groove shoe. 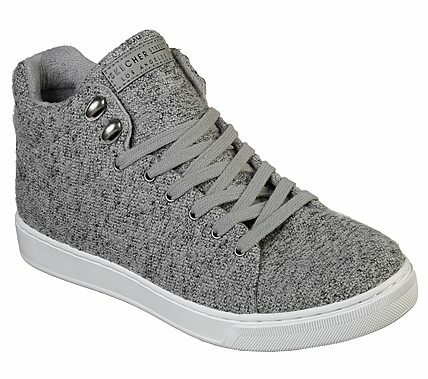 Soft woven heathered finish knit fabric upper in a lace up sporty casual high top fashion sneaker with stitching and overlay accents. Hidden wedge heel.